Australia 18 August, 2014: Australian event-led start-up, Venuemob, has today announced additional funding from investment group Sydney Angels, raising $530,000 in this second round of capital raising. This is added to the $450,000 raised during the initial November 2012 round led by Optus Innov8. Venuemob will use the funding to fuel their growth in the corporate events sector along with further advancements to their technology platform. Venuemob is an easy-to-use online platform that allows users to search and filter available event, function and meeting venues from an extensive database and secure promotional offerings and discounts. A user-friendly design makes easy work of tailoring venues to suit budget, location and occasion criteria, with exclusive rates and offers providing booking incentive. The platform serves as a two-way portal, with profiled venues able to promote their offerings to Venuemob’s user base. Sydney Angels members and the Sydney Angels Sidecar Fund provided the majority investment for this round, further backed by Optus Innov8 who led the previous fundraising round. Since the initial launch in 2012, Venuemob has demonstrated unprecedented growth with $5,000,000 worth of event budget now processed through the platform each month. This positive performance inspired re-investment from the original backers to encourage further growth and expansion. Angel investor Adrian Bunter said that Venuemob’s model was of interest to Sydney Angels due to its positioning in an unsaturated marketplace. “The digital space for venue sourcing is relatively untapped, leaving the door wide open for a brand such as Venuemob to structure an industry-defining platform,” he said, “Bringing such convenience to the often tedious task of venue research will be welcomed by the corporate and consumer community. A new version of Venuemob’s technology platform launched this month, based on extensive feedback from the events community. The upgrade incorporates industry-leading tools to enhance user experience, with a new algorithm improving the ‘matching’ mechanisms of the site along with a unique data function offering a cost comparison price guide. 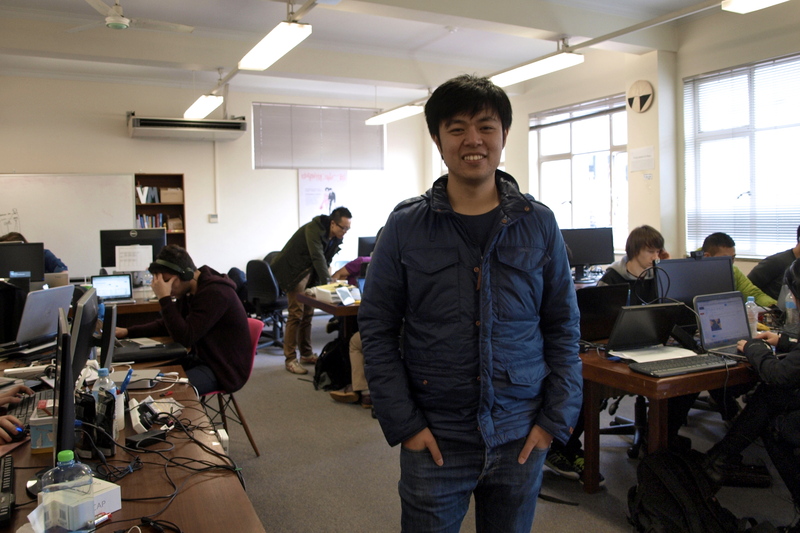 “We’re thrilled that astute investors such as the Sydney Angels team have such faith in our product. 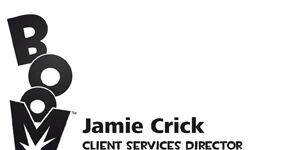 The Sydney Angels support goes well beyond the financial side of our business, with specialist advice and a powerful network to help us maximise our potential,” he said. About Venuemob: Founded in 2012, Venuemob is an Australian Internet company helping people to discover great venues around Australia for their events. The concept involves hunting down all manner of hip, elegant, professional, or unique venues and connecting these with the right audience. Venuemob’s platform showcases a database of locations to help event organisers save time and effort in their search for a space. Currently operational in Melbourne and Sydney, Venuemob is consistently building its database and platform with a view to take the concept into additional markets. ABC Splash and Bell Shakespeare create a new Australian voice for Shakespeare in the classroom, with a free, film-quality video series, Shakespeare Unbound, available online from Monday 11 August. Embargoed until 11 August 2014: For the first time, schools across Australia can now access contemporary Australian performances of Shakespearean works in a digital form. In partnership with Australia’s national Shakespeare theatre company, Bell Shakespeare, online education portal ABC Splash has today released a new video series Shakespeare Unbound. The video series is made up of 12 scenes from six of Shakespeare’s most famous plays: Macbeth, Othello, Hamlet, Romeo and Juliet, Julius Caesar and The Tempest. These videos are paired with 12 commentaries from the director and cast that unpack the meaning of the work in a way that is relevant for Australian students. Each scene has been brought to life on film by some of Australia’s best known theatre actors, including John Bell, Tom Conroy, Ivan Donato, Kate Mulvany, Eryn-Jean Norvill, Damien Ryan, Hazem Shammas, Damien Strouthos and Miranda Tapsell. James Evans, Shakespeare Unbound director, added: “We’re so excited to collaborate with ABC Splash to take our work for young audiences to the next level. Bell Shakespeare already reaches around 80,000 students annually with our live performance programs. With ‘Shakespeare Unbound’ even more students will have access to Shakespeare’s greatest scenes and soliloquies, performed by some of the country’s finest artists. This resource will provide teachers and students with a contemporary take on the life and work of William Shakespeare, engaging the new generation in a format that is interactive and educational. To celebrate the launch ABC Splash are running a #ShakespeareSaid competition, giving away 10 HD cameras plus a workshop with the Director of Shakespeare Unbound for the winner’s school. To win, students need to pick a phrase Shakespeare has made famous and bring it to life in a photo or meme. All content on ABC Splash, which is run in partnership with Education Services Australia, is mapped to the Australian National Curriculum. Launched in March 2013, Splash is a ground-breaking education website which helps students, teachers and parents embrace online and digital learning. It was developed by ABC Innovation in conjunction with Education Services Australia, supported by the Department of Broadband, Communications and the Digital Economy and the Department of Education, Employment and Workplace Relations. It is one of the largest digital projects ever undertaken by the ABC and delivers world-class interactive educational resources for primary and secondary school students, their teachers and parents. ABC Splash is a department of ABC Innovation which manages the ABC website abc.net.au and core mobile offerings including the ABC iPhone, iPad and Android apps. ABC Innovation also creates digital media content and services for online, mobile and emerging platforms. In less than a quarter of a century, Bell Shakespeare has firmly established itself as Australia’s only truly national theatre company, specialising in the immortal plays of William Shakespeare and peers such as Marlowe, Jonson and Molière whose masterpieces bear comparison with the man acknowledged as history’s greatest playwright. Through its tours, school productions and various learning programmes, Bell Shakespeare has spread its message from our largest cities to the most remote communities in Australia. Arguably, no other theatre company in the world devoted to the classics has reached such a wide audience within a single country, especially one as large and relatively unpopulated as Australia. Bell Shakespeare’s core mission remains the same as it was in 1990; to reinterpret the beautiful words, complex themes, raw emotions and profound ideas found in each Shakespeare play and show their relevance for modern Australians – wherever they live and whatever their background. Australia, 12 August 2014: Production company, Cobbstar Productions, today announced the first international co-production deal to create a narrative web series spanning the two continents. Australian based Cobbstar will partner with the US based multi-platform company New Frontiers Media to co-produce the fifth and sixth seasons of the world’s most watched gay online series, The Horizon. The deal will see the two entities further develop The Horizon’s already massive US Audience. Frontier Media’s leading Southern Californian LGBT magazine, Frontiers LA, will be interwoven into the storyline, paving the way for the series to shift its focus to the US. As the story develops, at least 24 episodes will be shot in both Australia and the US – making The Horizon a truly international production. Currently in its fourth season, The Horizon has already clocked over 22 million views. With the shooting for the next two seasons currently underway in Sydney, fans can expect to see the old favourites like Patrick James, Indigo Felton and Paul Layton, along with some new faces. New episodes will feature Emmy Award winning Queer Eye for the Straight Guy’s, Jai Rodriguez – whose casting was recently announced. Rodriguez will play a promiscuous American pop singer visiting Australia, where the series is based. His character will then return to the US and be the focus of the first installment of The Horizon: L.A. Image: Australian Producer Brian Cobb welcomes US Emmy Award Winner Jai Rodriguez and Frontiers Media to Sydney. CEO and founder of Cobbstar Productions and series producer of The Horizon, Brian Cobb, said Frontiers Media was the perfect platform for the company’s shift towards international markets. “I always liked the idea of formatting the series in different countries and with our huge US audience base, it seemed like a fantastic place to start. We’ve developed American storylines and characters, and will pepper these in with our key Australian cast, as we explore the explosive gay scene around West Hollywood. “Our talented Creator Boaz Stark has found the perfect balance in writing engaging, edgy, true to life stories, whilst still being insightful and raising awareness on gay issues as we are part funded by ACON (Aids council of NSW) – that won’t change no matter where we make the series,” Cobb Said. The Horizon has won praise from critics and fans alike. Since the airing of the fourth season in June, The Horizon has been rated the top gay web series online with over 22 million viewers in total. About New Frontiers Media Holdings: Frontiers Media has revamped the 32-year old publication Frontiers—a pioneering LGBT magazine—into a lively must-read for news, lifestyle, entertainment and health content. It’s web traffic and social media followers are growing rapidly as Frontiers creates a new interactive digital experience which will include original web TV content, deep community engagement and innovative solutions for brands and this sought-after audience to connect. A new events division is following up on its success with the first LGBT Wedding Expo (and the award-winning publication that accompanied it) with a nationwide slate of events. Onthehouse.com.au, Australia’s leading property portal, today released new predictions data, showing the top suburbs nationwide that hold strong investment opportunities for residential property buyers. The findings revealed that NSW dominated the list with four suburbs making the top 10, including Jerrabomberra, which is predicted to see the strongest capital growth in the next five years of over 10% per annum. This was closely followed by Morayfield in QLD, which is also predicted to grow over 10% per annum over the next five years. The WA suburb of Seville Grove came third on the list, followed by Ngunnawal in the ACT, both also predicted to grow by more than 10% over the same time period. VIC did not have any suburbs ranking in the top 10. The findings show that outer city regions provide the best investment opportunities – based on rental and capital returns. John Edwards, Consulting Analyst for Onthehouse.com.au, said: “Buying in a regional area might not be for everyone but with strong predicted growth and high rental yields, it’s certainly an option to consider. With more expensive areas, such as Sydney, outer city regions can be much more affordable – pair that with strong growth and it could be a good fit for investors wanting to get good rental returns and capital growth over time.” Calculated from rental yields and five year capital growth predictions, with industry surroundings, confidence ratings and employment opportunities taken into consideration, Onthehouse have identified the top 10 suburbs for investor returns in Australia: Ranking Suburb State Median Value Median Rent Median Rental Yield Predicted Capital Growth, 5 Years, %pa Avg. 1 Jerrabomberra NSW $612,500 $605 5.15% 10+% 2 Morayfield QLD $321,000 $335 5.47% 10+% 3 Seville Grove WA $367,500 $390 5.52% 10+% 4 Karabar NSW $461,500 $470 5.30% 10+% 5 Dalyellup WA $414,500 $410 5.15% 10+% 6 Ngunnawal ACT $392,500 $405 5.37% 10+% 7 Secret Harbour WA $482,000 $485 5.28% 10+% 8 Murrumba Downs QLD $419,000 $435 5.39% 9+% 9 Banora Point NSW $438,500 $455 5.44% 9+% 10 Medowie NSW $396,000 $385 5.10% 9+% Source: Onthehouse.com.au Mr Edwards commented: “Investors should be looking for locations that have good employment opportunities, education options, are well connected to transport and have planned developments in the area that will attract the population. The latest Best Rent Report highlights 58 areas around Australia that meet this criteria, each offering returns of better than 10% per annum.” Mr Edwards continued to explain that pairing data with local knowledge can be very powerful. “Our research draws on industry and environmental surroundings and employment opportunities, which will influence property prices. These areas are the suburbs we think will perform well. However, it’s crucial that buyers do their own personal research and build on this statistical information.” Further data and information on the best investment locations can be found in Residex’s Best Rent Report – which includes the top 58 areas around Australia with investment potential. The report is available here: http://www.residex.com.au/best-rent-report To view property reports for Jerrabomberra or any of the top suburbs, visit http://www.onthehouse.com.au/ -ENDS- Media contacts Ashford Pritchard: E ashford@launchgroup.com.au <mailto:ashford@launchgroup.com.au> / T 02 9492 1040 / M 0411 020 680 Laura Douglas: E laura@launchgroup.com <mailto:laura@launchgroup.com> / T 02 9492 1000 / M 0452 505 859 About onthousehouse.com.au www.onthehouse.com.au is Australia’s most transparent and comprehensive real estate portal, empowering consumers to make informed property decisions by providing them with free access to information. Over 1 million unique browsers visit onthehouse.com.au every month to search listings and view in-depth property data, making it Australia’s third most popular real estate platform. 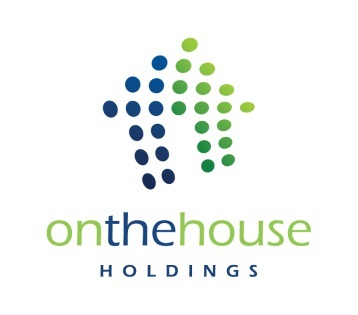 Onthehouse.com.au is the flagship consumer offering of Onthehouse Holdings (ASX:OTH), the 360-degree property market services group that provides comprehensive real estate agency solutions, information and analytics services. Onthehouse Holdings businesses together help over half of Australia’s real estate agencies, as well as being used by financial institutions and other property-related professionals.